The NP-FW50 Cradle A allows connecting an additional NP-FW50 battery to the camera inside the housing, thereby providing extended battery life. If housing space allows. Please check cradle size and cable length. 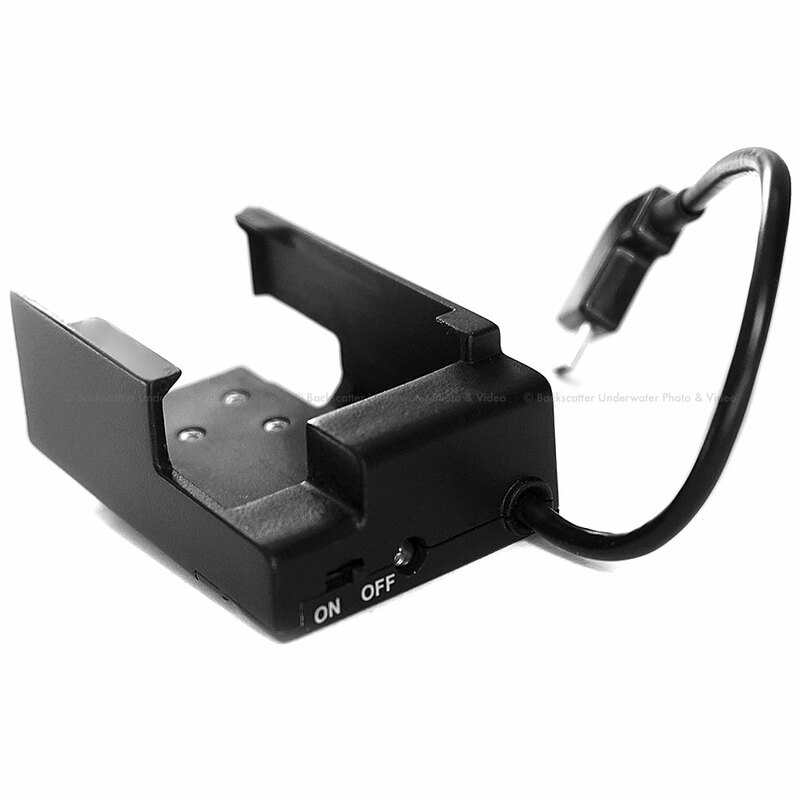 The NP-FW50 Cradle A can be used with cameras that are equipped with a Micro USB port and enable operation when connected to a charger. The NP-FW50 Cradle A can be used with housings offering sufficient space to accommodate the cradle, either when mounted on the camera hot-shoe or secured elsewhere in the housing. The NP-FW50 Cradle A blocks the camera hot-shoe connection if mounted on the camera hot-shoe. Depending on the housing model, the cradle can be secured elsewhere and without blocking the camera hot-shoe if sufficient space is available.